Printing machine Komori LS 440 SP »Double deck« sold to China! 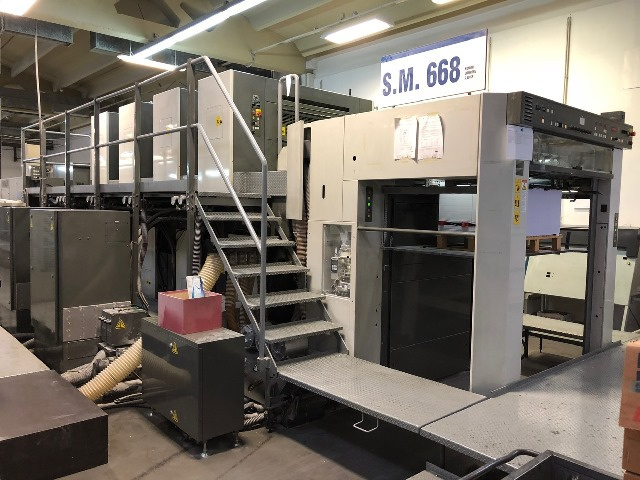 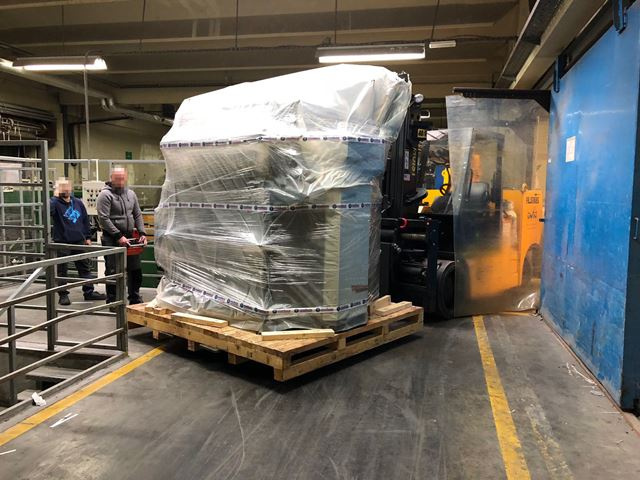 Logistically demanding project – sale of printing machine Komori LS 440 SP »Double deck« to China is successfully completed. 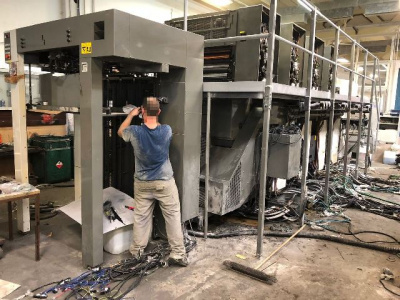 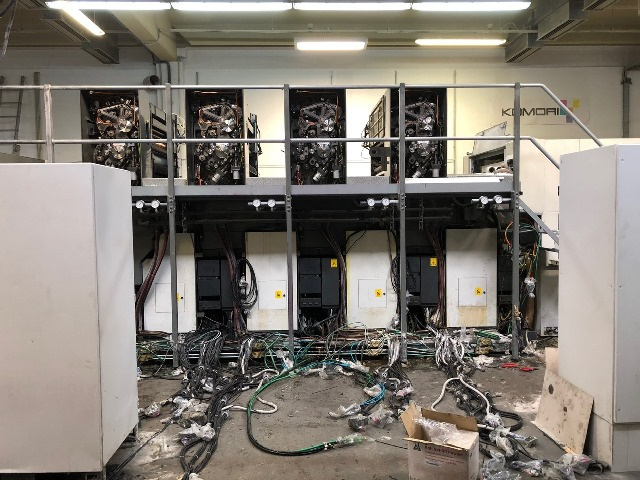 When the new machine did arrive in 2006 to printshop it was needed to demolish one wall at facility and after the machine entered to build again. Today, on the occassion of sale, the printer was ready to do the same procedure to bring the machine out. By making a skeleton wooden copy of special gantry and of wooden machine racks we found out the machine just can be moved through labyrinth hallways to loading place. Team of excellent »Barca« Engineers, specialized for this machinery brand professionally dismantled the machine. With assistence of local specialists for relocation of machines and with their superior equipment we did successful move the machine out of facility without disturbances of working process at printshop. 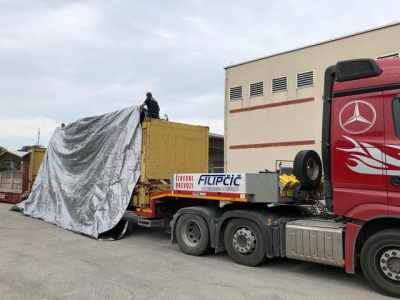 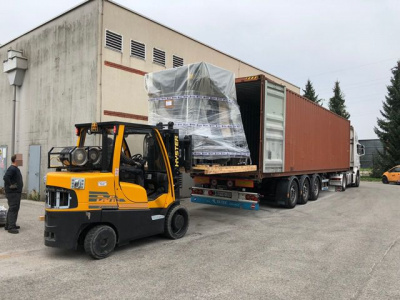 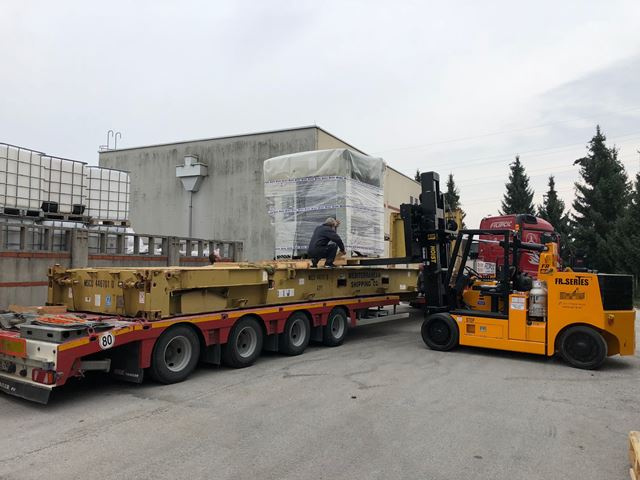 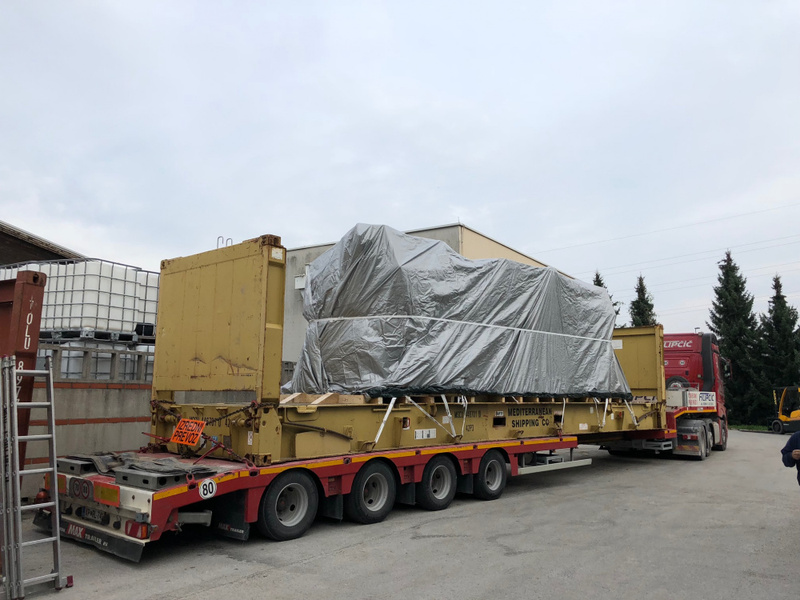 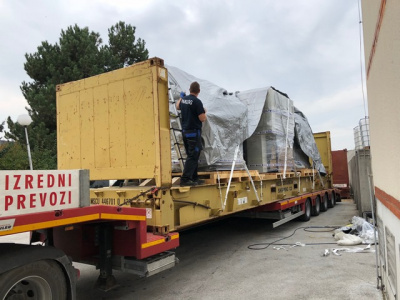 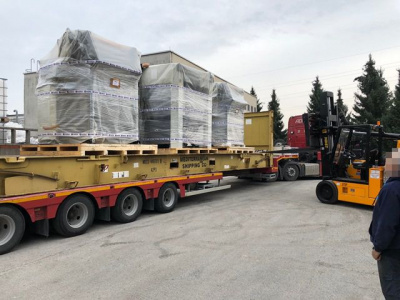 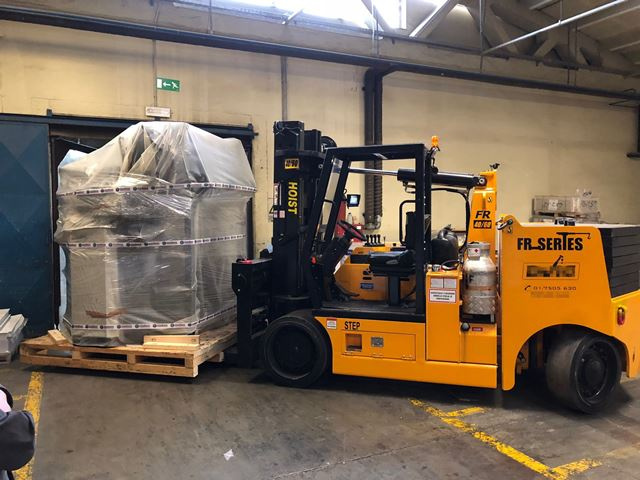 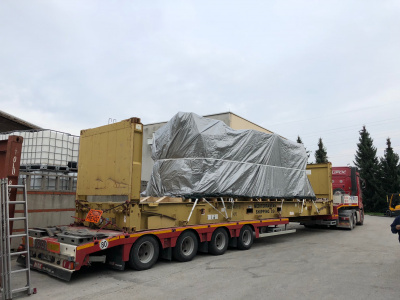 All units was successfully loaded into high-cube and FLAT-RACK containers, certificated slovenian company carried out banding of units in containers and addequately protection for oversea transport. The equipment was ready for long oversea transport and brought to Port Koper and is already on the way to satisfied customer in China ..